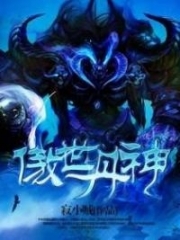 You’re reading novel The Demonic King Chases His Wife: The Rebellious Good-for-Nothing Miss Chapter 943 online at LightNovelFree.com. Please use the follow button to get notification about the latest chapter next time when you visit LightNovelFree.com. Use F11 button to read novel in full-screen(PC only). Drop by anytime you want to read free – fast – latest novel. It’s great if you could leave a comment, share your opinion about the new chapters, new novel with others on the internet. We’ll do our best to bring you the finest, latest novel everyday. Enjoy! Yunqi's hands that was at his side curled into fists, producing a clear cracking sound. However, his smile remained clean like the spring wind. Those deep eyes which were looking at Su Luo were still full of soft intoxicating waves. Su Luo knew, the angrier he got, the gentler the smile on his face would be. But what did him getting angry have anything to do with her? Su Luo snorted secretly, turning her face away. But really, seeing Yunqi being infuriated like this, she secretly felt better. "Enough, I order all of you to step down." The old emperor impatiently waved his hand. The old emperor saw that Su Luo also started to leave with everyone else, and he lifted one hand to point at her. He kept a straight face, with his expression imposing and not allowing any opposition, he said: "You, stay." 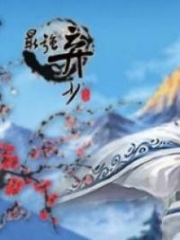 Senior concubine Li's good mood that was earned with great difficulty, in an instant, vanished like smoke. She glared at Su Luo resentfully, turned around and left. Yunqi silently stared at Su Luo for a moment, then led Princess Yulin out of the room with him. As Princess Yulin was leaving, she continuously looked back, blinking her cute starlike eyes: "Yun Luo, I'll be waiting for you outside." The more Yun Luo opposed Third Older Brother, the more she wanted to pair them up. Hmph, the one she recognized as Third Brother's wife, she would never let go. After everybody had left, the room suddenly quieted down. The old emperor sat on the half-circular throne made from red sandalwood. His face would suddenly flip from dark to light, profoundly mysterious. Su Luo carefully seized him up and tried to make guesses, but she was unable to guess his thoughts. "Sit." The old emperor pointed to a chair. That was a position normally reserved only for aristocrats or princes to sit in. But Su Luo sat down calmly, without a bit of uneasiness. "Do you know why I asked you alone to stay behind?" The old emperor looked at Su Luo differently from before. His gaze, as if having pa.s.sed through time and s.p.a.ce, fell on her. Su Luo slowly shook her head: "Don’t know if Your Majesty has anything to tell me?" "Your mother…" The old emperor couldn’t help but let out a long sigh with a hissing sound, then asked, "Who is your mother?" Su Luo's heart stirred slightly. Why not take advantage of this opportunity to pry out some information? Combined with the words the old witch Yan Xia said that day, Su Luo's expression remained calm. She took out a dagger from her sleeve and hand it over to him. This dagger was from the Treasure Storage Pavilion of Eastern Ling Empire. Su Luo remembered, that day, old witch Yan Xia in her excitement had said that person's name was Yan Hua. This Yan Hua dagger most likely had something to do with her. The old emperor accepted the dagger, and in a split second, his entire person was dumbfounded. He gripped the dagger so tightly, that blue veins popped out on the backs of his large hands. "It's her, it's her!" The old emperor's entire body quivered in excitement, with eyes focused on that dagger. He carefully looked it over, stroking it gently with excitement. Su Luo could clearly feel his excitement. Su Luo quietly sat on the side, waiting for his state of mind to settle down. Soon, the old emperor also realized his own abnormality. He turned his body around, when he turned back, calmness had already been restored to his gaze. "This dagger must be left to you by your mother, right?" The old emperor's eyes had soft waves, filled with affection as he looked at Su Luo. For a split second, Su Luo had some doubts whether the emperor before her was her……. In fact, Su Luo simply didn't know, whether the woman called Yan Hua was really her mother… this dagger wasn't given to her by Yan Hua. But in order to pry out some information, Su Luo's face was taut, dead earnestly, she nodded her head: "Mhm." The old emperor's soft gaze stared at her facial features, taking in every detail carefully: "Really similar, really similar." 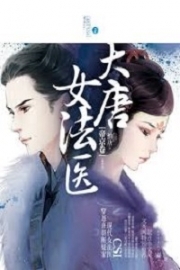 You're reading novel The Demonic King Chases His Wife: The Rebellious Good-for-Nothing Miss Chapter 943 online at LightNovelFree.com. You can use the follow function to bookmark your favorite novel ( Only for registered users ). If you find any errors ( broken links, can't load photos, etc.. ), Please let us know so we can fix it as soon as possible. And when you start a conversation or debate about a certain topic with other people, please do not offend them just because you don't like their opinions. You're reading The Demonic King Chases His Wife: The Rebellious Good-for-Nothing Miss Chapter 943. This novel has been translated by Updating. 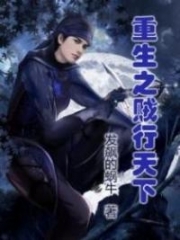 Author: Su Xiao Nuan,苏小暖 already has 10907 views. Current Time is Apr-22-2019 12:57:38 PM.